[PDF] Electric Power Distribution Handbook, Second Edition | Free eBooks Download - EBOOKEE! Description: Of the "big three" components of electrical infrastructure, distribution typically gets the least attention. In fact, a thorough, up-to-date treatment of the subject hasnâ€™t been published in years, yet deregulation and technical changes have increased the need for better information. Filling this void, the Electric Power Distribution Handbook delivers comprehensive, cutting-edge coverage of the electrical aspects of power distribution systems. The first few chapters of this pragmatic guidebook focus on equipment-oriented information and applications such as choosing transformer connections, sizing and placing capacitors, and setting regulators. The middle portion discusses reliability and power quality, while the end tackles lightning protection, grounding, and safety. 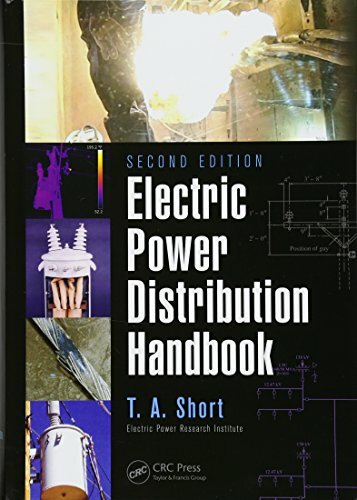 The Second Edition of this CHOICE Award winner features: 1 new chapter on overhead line performance and 14 fully revised chapters incorporating updates from several EPRI projects New sections on voltage optimization, arc flash, and contact voltage Full-color illustrations throughout, plus fresh bibliographic references, tables, graphs, methods, and statistics Updates on conductor burndown, fault location, reliability programs, tree contacts, automation, and grounding and personnel protection Access to an author-maintained support website, distributionhandbook.com, with problems sets, resources, and online apps An unparalleled source of tips and solutions for improving performance, the Electric Power Distribution Handbook, Second Edition provides power and utility engineers with the technical information and practical tools they need to understand the applied science of distribution. No comments for "[PDF] Electric Power Distribution Handbook, Second Edition".